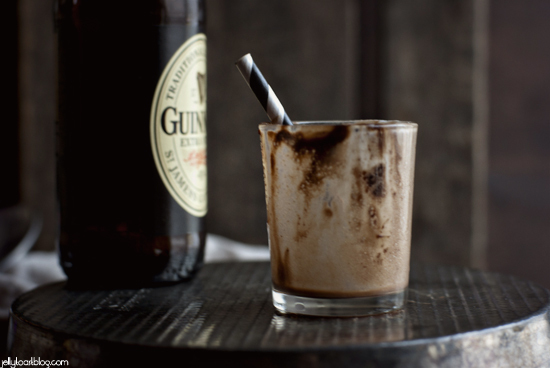 So, we’re two days out from St. Patrick’s Day and believe it or not, I still have two more Guinness-y recipes for you. 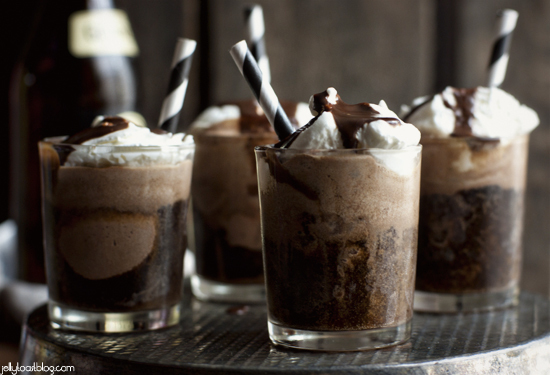 These Mini Guinness Chocolate Floats are the first one. Full disclosure, this is more of a method than a recipe. But, man, is it a tasty little method. Last week, I explored the chocolate and Guinness combo with great success. I figured chocolate brownie ice cream drowned in some Irish stout topped with whipped cream and chocolate sauce would pretty much be a slam dunk. 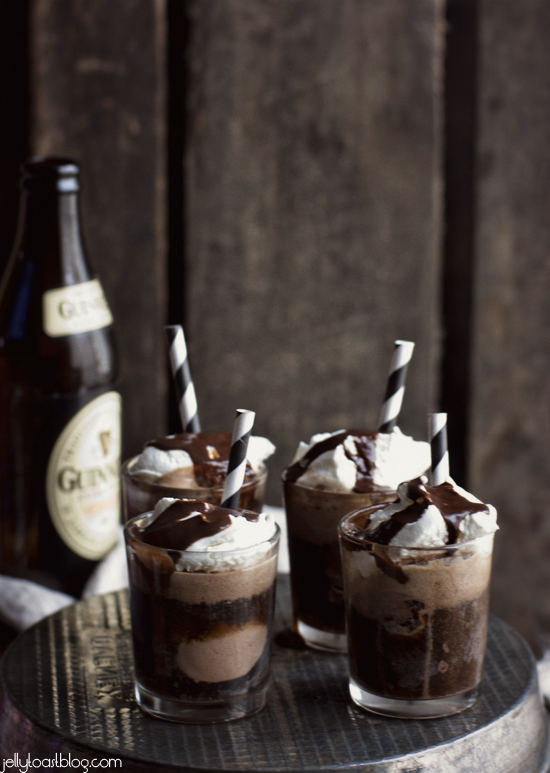 In fact, I used my leftover whiskey whipped cream and Guinness chocolate sauce to make these little floats extra special. Plus, I loved the idea of small little floats, perfect for a party that is packed with all sorts of other Irish fare. Speaking of Irish fare, my last Irish snack (yes, it includes Guinness) will be up tomorrow; just in time for the holiday. 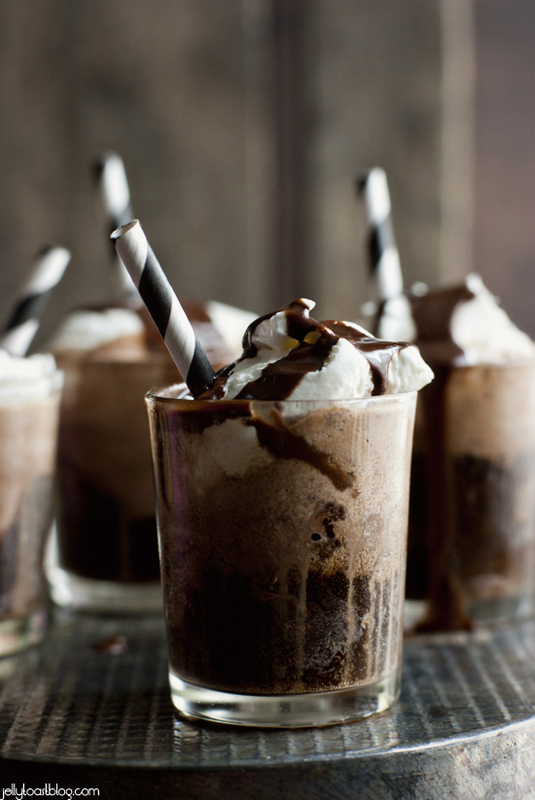 Place 2 tablespoons of ice cream in each of 6 small shooter glasses. 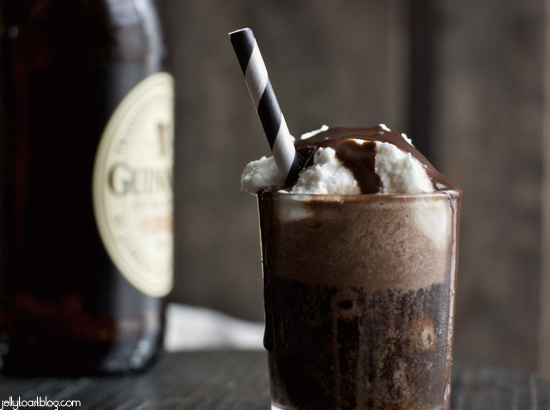 Top each glass with 2 oz of Guinness Extra Stout and serve with whipped cream and chocolate sauce. These look so yummy and just the perfect treat for St. Patrick’s Day! These might possibly be the cutest things I’ve seen all month. Adorable! The fact that they sound delicious is just the icing on the cake…or the whipped cream on the float…you know what I mean! Lol, thanks, Elizabeth! I totally agree 🙂 Thanks for stopping by and saying hi! I could totally use one of these bad boys right now on a Sunday night at 11PM. This looks perfect! 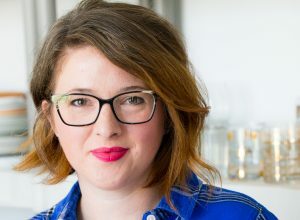 I am looking for some easy drinks that I can make quickly, and this one is definitely HAPPENING SOON! I’m glad you like the looks of them! I’ll be making them again this year for sure 🙂 Thanks so much for stopping by! !